Technology is carving out an entirely new and uncharted business landscape, in which change is the new normal. In the midst of this new world of constantly evolving competition, regulatory revisions, and mergers & acquisitions, organizations that are able to implement change effectively have a significant competitive edge over those that are not. Traditional change management has been around for decades, but is the same approach really enough to make a difference? Consider that over 70 percent of major change initiatives fail. 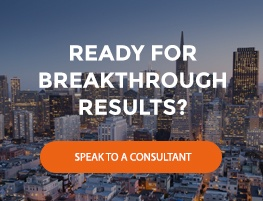 Vanto Group’s unique and proprietary methodology helps clients overcome those odds by addressing the critical element that most executives and consultants miss: the “people element.” We’ve successfully applied this methodology with hundreds of clients over the past 25 years. The results speak for themselves. Find out how one client used Vanto Group to transform issues that had led to a significant increase in injuries among workers.